Is It A Story Or A Story Idea? “Then what happens?” I will ask. But that’s not a story. I definitely appreciate the lead-in, but let’s call it what it is. A story idea. A writing prompt. A character. So, what’s the difference? Let’s define it. A story, in simple terms, is a narrative telling of connected events with a setting, characters and plot. A story idea is a fragment of a story. It’s an idea for a character, a backdrop, a start of a sticky situation. But what happens next? What happens to the character? What happens at this place? What complicates the situation? How is the plot resolved? There’s nothing wrong with story ideas. The best stories were born from a story idea. The difference here is that the writer recognized that the story idea was, in fact, a story idea and took the time to grow it into a story. Even the best of creative writing students mistake a story idea for a story. I know I did. During my grad school years, I wanted to write a young adult novel about a teenage skater girl who gets sent to an all-girl Catholic school. 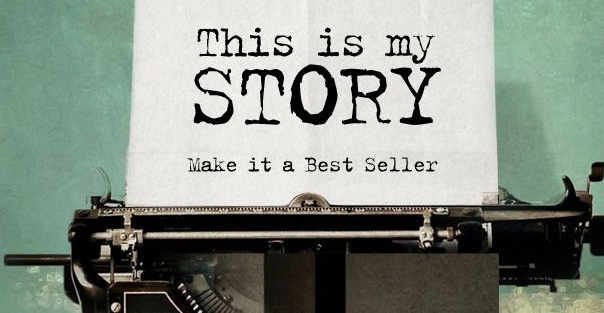 I was so certain that I had a story that I plunged in and wrote several chapters. But by Chapter 5 and she still wasn’t at the all-girl Catholic school, I knew something was up. I didn’t write her to be at the all-girl Catholic school because I didn’t know what would happen next. I didn’t take the time to see the big picture because I was so excited about one detail of the potential story. That’s when I knew I only had a story idea, not a story. Don’t worry. I was able to shape the first chapter into a short story. That’s why I’m a big supporter of outlining a story. I agree that freewriting helps in the creative process of crafting the plot of the story, but we creative writers often believe that we’ll be able to write a perfect draft from start to finish without any hiccups simply by having a story idea. But a story idea isn’t enough. Knowing what happens from start to finish as well as how the characters change and grow is. At least, enough to know that you’re on the right path towards a story. Do you agree that there’s a difference between a story and a story idea? Share your thoughts below. After sitting down at my favorite café table (by a window, of course) while setting up my supplies and sipping a mocha, I did what I hadn’t done in a long time–I continued writing my novel. Actually, I was outlining my novel. But I’ll dig deeper into that in another blog post. It’s been a month since I had carried on in my fictional journey. And after reading over my previous notes, I leapt right back in: plotting out my plot, digging deeper into character quirks and histories, sculpting out more details in the scenery. So what kept me from this project for so long? A lot of things. I’ve been submerged in job applications, holiday shopping, pet sitting, household chores, freelancing, and promoting my blog. There’s never enough time for the writer to write. Writers have lives beyond their world of writing, and it’s always difficult to jot down an idea when a baby’s crying or there’s a pressing deadline at work. But these are excuses for not writing. Not reasons. The reason for not writing is simple: we don’t value writing enough to make it a priority. Sure, “write story” is scribbled down on our to-do lists, but it’s at the bottom after “exercise” and “pick up dry cleaning.” After everything else is crossed out on that list, it’s 9 at night and we’re too exhausted to pick up the pen. I’ve been there…and currently am there. Some days we won’t write because of Sally’s birthday or your nephew’s wedding or that big business presentation. Some days we choose dedicate our time to the people, job, and occasions that we value. But that’s a reason for a handful of days. During periods like this when your writing becomes a dissolving note on your desk, what needs to be done is a reevaluation. Do you value your writing? How invested are you in your writing project? What would you do to make this writing project succeed? You may find that you value writing as a hobby, or even a past flirtation. Or you may find that you are desperate to get back and don’t know how to break this writing-less pattern. Put your writing at the top of your to-do list. Highlight it. Underline it. Surround it with exclamation points. Write it in bright, unavoidable colors. Your new mantra is “I will write today” and your new goal is making it fit into your schedule. Schedule writing sessions. Pick a time and place that you can realistically uphold. Even once a week is more than never. Even ten minutes is more than never. Make a commitment and dedicate yourself to keeping it. Have a writing plan. Take the intimidation out of writing and know what you need to work on. Make the task as specific as possible. When your writing session is done, define what needs to be done next time. Don’t complete your sentence. One of my favorite writing tips: leave off your writing session in the middle of a sentence. If this is too painful for you to do, end your session in the middle of a scene. You are more willing to return to your writing when you are going to finish writing exciting action or complete that big revelation. Join a writing group or online community. Writing groups keep regular meeting dates, regular assignments, and regular support and encouragement. You get to see your readers and hear what they have to say about your writing. Wanting to give your readers more to read will bring more value to your writing. This will also motivate you to keep a set writing schedule and to improve your writing. Make use of down time. While you’re in the elevator, driving down the road, or waiting for your leftovers to heat in the microwave, brainstorm! Pick something small that needs work (a character’s motivation in a scene or the next plot turn) and shoot around ideas in your head. Small problems can be solved in spare intervals. And, if you think you’ll forget it, scribble down your solution. Since my last writing session, I can’t stop thinking about my story. I fall asleep every night planning out the events of my story and exploring my characters’ histories. I am keeping the excitement of writing alive in my life even when I’m not writing. So when I finally get around to picking up the pen, I will be eager to do so.